Ontario's health ministry says it is reviewing applications for funding from overdose prevention sites under a new model planned by the province. Until the provincial government makes a decision about which sites will be approved, sites across the province will remain open, the ministry says. "Existing sites will continue to operate while they apply," Hayley Chazan, press secretary for Health Minister Christine Elliott, said in an email on Wednesday. According to the Toronto Overdose Prevention Society, however, permits for many sites in Ontario expire on Thursday. Sarah Ovens, a coordinator for the society, said that means the province could temporarily extend the permits that allow the sites to remain open or it could cut their funding. There are nine overdose prevention sites in Toronto. The sites allow people to bring drugs inside the facility and safely use them under the supervision of trained staff. "It's a huge amount of stress. We are pretty worried," Ovens said. "In Toronto, we have a mix of different overdose prevention sites. It allows people to choose to go where they are comfortable. I definitely do not want any of the sites to get cut." Chazan said the ministry expects that sites approved by the provincial government will transition to the new model, called "Consumption and Treatment Services (CTS)," by the spring of this year. Proximity to other sites and services, and community support. Integration with primary care, treatment and other health services. "Defined pathways" to addictions treatment and rehabilitation, primary care, mental health, housing. employment and other health and social supports. 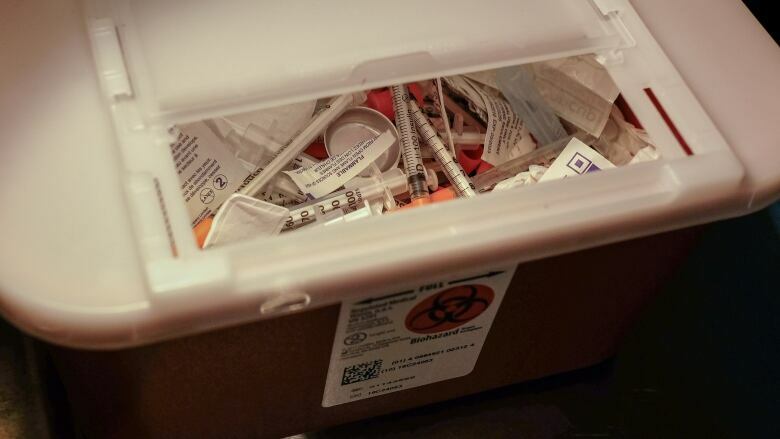 Pick-up of used harm reduction supplies. ​"It is anticipated that the approved sites will transition to CTS by spring 2019," she added. Chazan said the new model was established after the province conducted a review of existing sites. The review, announced last July, was completed in October. According to the government, the review found that the sites help to reduce drug-related deaths and illnesses, lower the rate of public drug use and needle sharing, improve the health of people who use drugs and reduce strain on the health care system. But in a news release in October, the government said: "The current supervised consumption services and overdose prevention site models require changes ... to address public concerns that have been raised about them." Chazan said the new model of delivering services would focus on rehabilitation. "The re-purposed program is designed to get those struggling with addiction the help they need by connecting people who use drugs to primary care, treatment and rehabilitation, and other health and social services," she said. "Our government's overriding priority is to ensure that all efforts to combat opioid addiction are designed to introduce people into rehabilitation and that those struggling with addiction get the help they need." Overdose-prevention sites are temporary facilities approved by the province following a federal decision to grant an exemption under the Controlled Drugs and Substances Act. Safe-injection sites, meanwhile, are more permanent locations approved by the federal government after a more extensive application process. 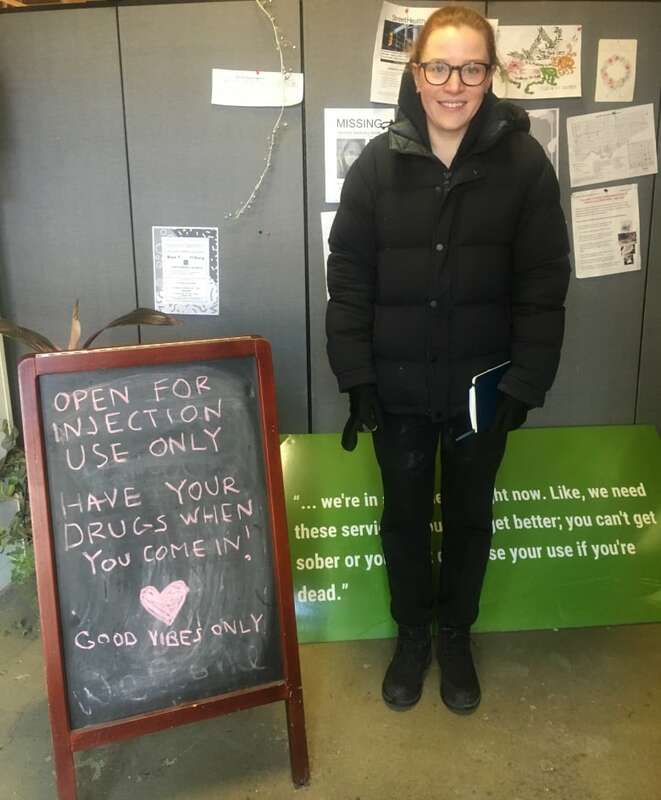 The Toronto Overdose Prevention Society, made up of harm reduction workers, health care providers and drug users, is a group formed in response to the overdose crisis in Toronto. It was the first to open an overdose prevention site in Ontario in Moss Park.